Each zine is a wild and wooly whatever of occultura and esoterrata compiled together, generally related to Hermetic Library's overall mission of archiving, engaging and encouraging the living Western Esoteric Tradition, Hermeticism, and Aleister Crowley's Thelema. Submissions to the zine need no particular topic, theme, style, or soever. New and old material of pretty much any kind, as long as it can be included on pages in the Zine, is welcome. 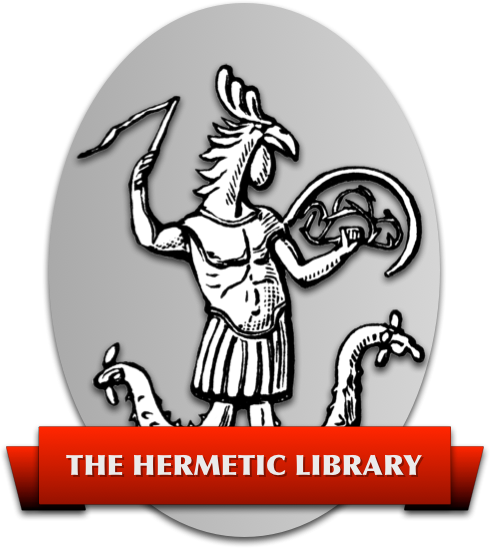 Tell me about what you'd like to send in for use in an issue of the Hermetic Library Zine. I currently offer gratitude, gratis Hermetic Library Anthology Album download codes, and an honorarium for successful submissions. Introducing Hermetic Library Zine, November 2016, Issue #2, a publication of Hermetic Library. 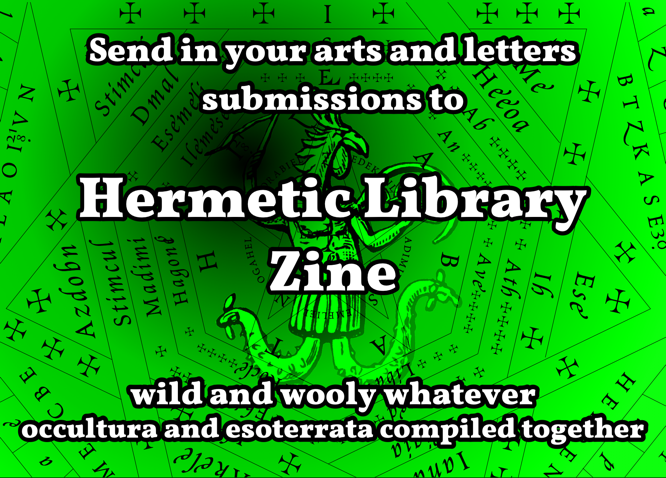 Follow news and announcements for Hermetic Library Zine on the library blog, tell me about what you'd like to send in for the Zine, and get in touch with the Librarian if you have questions!